Tom Kha Seadfood - everyone's favourite thai coconut soup. 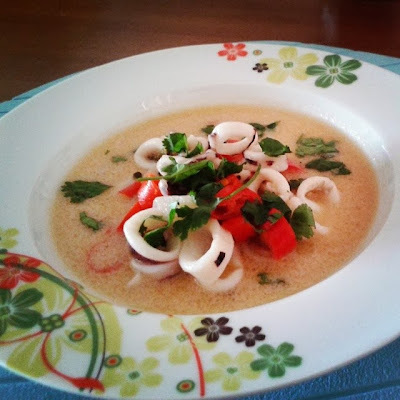 This soup is made with coconut milk, galangal, lemongrass, kaffir lime leaves, chicken or seafood and often contains shiitake & coriander leaves. You can add in some bird eye's chilis but not too much as the flavors needs to be balance. 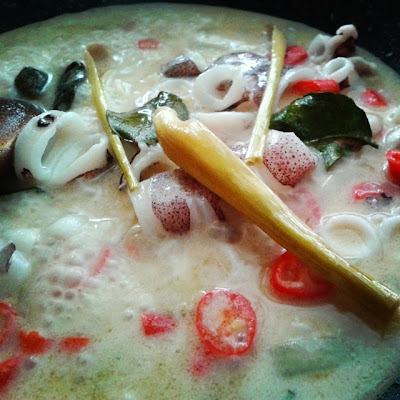 Tom Kha seafood turned out really good and tasted like what it should be; milky, aromatic and amazing delicious. Add water, lemongrass, galangal, chilies, kaffir lime leaves into a pot and bring it to boil. Add seafood and boil it on medium heat for a few minutes or until the chicken is cooked through. Add coconut milk and boil for a couple more minutes. 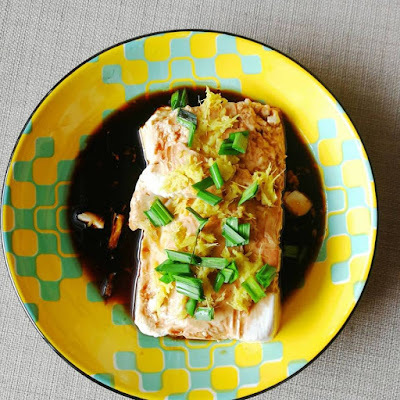 Turn off the heat and add lime juice and fish sauce to taste. Add chopped cilantro before serving.